This has been a tough year... and I don't just mean the political climate! Articles and commentary related to gifted education have posed more questions than solutions. But the questions they raise are revealing and necessary- and should hopefully lead to much-needed changes. 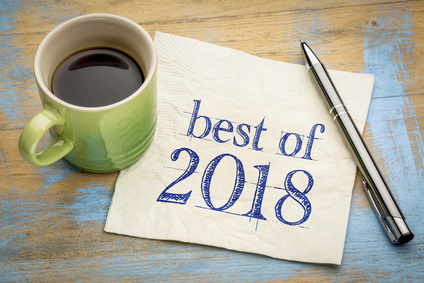 Some of the best articles of 2018, in my opinion, have highlighted how much change is still needed. They call for revisions in how gifted education is taught. They challenge misconceptions about equity and excellence, and how best to meet the needs of underserved populations. They suggest a deeper, more complex understanding of how children learn, rather than adherence to well-worn concepts that miss the mark. They stress how children's mental health and emotional well-being is always essential. "...some children are capable of or have a greater passion for understanding concepts on a deeper, more complex, faster and/or more creative level. Refraining from offering suitable curricuar challenges to students who are ready for them, whether called gifted, talented, exceptionally promising, advanced, or something else because other students are not ready for or do not have an interest in them is not ethically justifiable." "...when you hear arguments against gifted programming because being named 'gifted' causes gifted students to avoid difficult tasks and believe their innate intelligence is set in stone, then know that our findings suggest that gifted students are not as fragile or vulnerable to this belief as we might think. Such arguments about their fixed mindset vulnerabilities are likely based on assumptions and biases and are being erroneously used to shape policy." "...equity and excellence are not competing concepts. But 'feel-good equity' and excellence are diametrically opposed, competing concepts. Perversely, pursuing equity by removing differentiated learning opportunities reflects a lack of belief in underserved students' ability to do advanced work - even though this educational philosophy masquerades as believing the exact opposite." "...trying to teach 'noncognitive' skills like self-control and grit via inherently cognitive mechanisms can set up vicious cycle of increasing stress, failure, and social isolaton." "...there is no standard - or even worthwhile definition - for what constitutes a 'gifted program.' The primary problem with this approach is that, even among practitioners and advocates, 'gifted programming' is a massive umbrella under which fall myriad sorts of services of widely varying degrees of intensity and quality." "One out of every 4 or 5. That's how many students will display a significant mental health problem over the course of their lifetime. Such students can be identified early with considerable accuracy if educators are given the right training and tools." "A recent study reported that across the nation, Black and Hispanic students continue to be under-served in gifted programs at an alarming rate... In the report, several practices are noted that appear to have some impact on addressing the 'Gifted Gap' in schools"
"Increasingly, young people hold irrational ideals for themselves, ideals that manifest in unrealistic expectations for academic and professional achievement, how they should look, and what they should own." "Students who suffer from trauma, and those with mental health issues are not throw away kids that we toss to the side. They are children who have the potential to do great things in life. That is not a political argument... it is a reality." "One recent study found a range of more than eleven grade levels in reading fluency and comprehension among fourth graders in a small group of diverse elementary schools. This is extraordinary variation, implying that a fourth grade teacher may have students reading at a kindergarten level and at a ninth grade level in the same classroom. Whatever the merits of 'differentiating instruction,' a teacher cannot realistically teach sonnet analysis, spelling basics, and the wide spectrum of skills in between to the same set of students." I did not include the most broad, pressing topics from the past year - gun violence in the schools, the psychological effects of lock-down drills, how paddling is still legally permitted as a form of punishment within some school districts, environmental crises (e.g., hurricanes, fires) that have devastated communities and their schools, and the divisive nature of our political climate. These issues affect all children, but covering them was not within the scope of this review. Please keep in mind, though, that they likely have an impact on your child's well-being. What articles related to gifted education and gifted children made a difference for you this year? Let us know in the comments section below. Thanks. Why would a child feel ashamed of being gifted? Some people think being gifted is, well... a gift. You are smart, talented, advantaged. Things come easily. School is a breeze. College entrance should be a piece of cake. Parents of gifted children, and gifted adults, of course, know otherwise. They know about envy and bullying. They know about ostracism and preconceived notions and media stereotypes. They know that even successful gifted people are criticized. They know that their abilities are at once admired and disparaged, with false claims that no one is truly gifted, and that it only takes grit and practice to achieve. Given the highly charged emotions projected upon them, gifted children are often confused, troubled and sometimes ashamed of their talents. They know they are no more responsible for possessing these abilities than for the color of their eyes. Yet, like the tall girl who slouches to mask her height, or the overweight teen who refuses to wear shorts in the scorching heat, gifted children often feel they must hide their true nature. They "dumb themselves down" to mask their gifts, fearful that their differences will provoke taunting and ultimately, isolation. What is shame, and how is it different from guilt? Guilt typically develops in response to a behavior we have engaged in that conflicts with our values. Shame, on the other hand, reflects feelings about our sense of self. According to Brene Brown, shame is "the intensely painful feeling or experience of believing that we are flawed and therefore unworthy of love and belonging." Gifted children have done nothing wrong; yet, many feel shame just for being themselves. This burden of shame not only torments gifted children and teens; it can last a lifetime. Many gifted adults feel ashamed of their abilities, and fearful of repercussions if they shine too brightly. Gifted women, in particular, may worry that their talents will be threatening to potential romantic partners, or will evoke envy and competition at work. Some gifted adults set unrealistically high expectations for themselves, and then feel like impostors or see themselves as failures if they have not achieved their goals. How can we - as parents, teachers, and as a society - stop the cycle of shame that affects our gifted children? Create a haven where quirks, differences, failures, offbeat ideas, creative ventures, norm-breaking, and brainstorming, for example, are welcome. Accept and embrace differences. Tears, sadness and anxiety should never evoke criticism. It won't help the situation, and your child can interpret it as shaming. Sometimes telling your child to "toughen up" or "shake it off" may increase her anxiety. Instead, help her approach any symptoms of anxiety or heightened sensitivity by treating them as understandable reactions that can be managed - not as something shameful. Help your child appreciate that he may be different from the norm, and that is fine with you. Your child may notice your frustration with the school, your efforts to find extra-curriculars and attempts to encourage social interactions. Let him know along the way that you love who he is - differences and all - and your efforts are directed toward finding what will suit his needs. Manage and work through feelings of disappointment about your child's behaviors, so you don't project these feelings onto her. You might feel disappointed when your asynchronous child acts younger than her actual age, or fails to perform well in school due to anxiety. Find the support you need so that your child is not affected by your anxiety, frustration, sadness or or disappointment. This is not easy for most of us. But recognize that children model our behaviors and not necessarily our words. Show your child that you can laugh at your mistakes, bounce back from failure, consider new and different perspectives, and that you never mock another's vulnerabilities. Demonstrate how you challenge yourself to approach fears or areas of vulnerability, whether this involves public speaking, wearing that daring bikini, or zip-lining. Show compassion for others, manage your own feelings of envy and longing, and challenge any lingering biases. While none of the above behaviors are specific to giftedness, they will help your child feel safe and confident in her ability to be herself - differences, quirks, vulnerabilities and all. Finally, keep in mind that advocacy is essential. You didn't sign up for this, but if you want to reduce gifted-shaming, you need to be an "ambassador for the gifted" wherever you go. Educate everyone you know about the facts, help them understand what it means to be gifted, and challenge widespread misunderstanding. Address misconceptions in the schools and among policy-makers. Lend your voice through writing, speaking up, and showing up when legislators, school administrators or the media indirectly shame and minimize the needs of the gifted and high achieving students. Help them "get real" about gifted kids. Many parents of gifted children harbor "guilty thoughts" and shame about their worries and feelings of inadequacy. They sometimes doubt their parenting skills, compare their child to others, wish their child could be "normal" like the other kids, and worry about the future. They feel isolated and unable to share their burdens - and joys - with other parents who do not have gifted children. Many downplay their child's accomplishments by pointing out flaws, to offset any appearance of bragging (yes, he won the spelling bee, but you should see his room!). Raising a gifted child can be full of surprises, joy, excitement, and also confusion, disappointment, envy, and frustration. These are commonplace, normal reactions, and feeling ashamed or guilty only makes them worse. As parents, we can instill good values, caring and respect for others, and motivation to succeed without shaming. We don't have to let our children spiral into shame, self-blame and self-doubt. We can correct their mistakes without criticizing their efforts or basic nature. This is all part of the tough task of parenting. 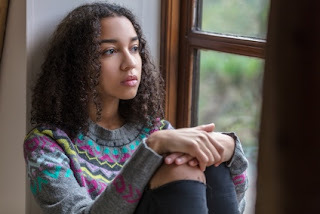 Some of the shame gifted children experience, though, stems from others' misconceptions. As parents, educators, counselors, and legislators, we need to end these misconceptions, false assumptions, and the marginalization of gifted education - all of which can contribute to a false sense of self, confusion and shame. With some effort, gifted children eventually may stop feeling blamed and criticized just for being themselves.